Monster Kid Radio #249 - Meet Monster Kid/Filmmaker Joshua Kennedy, plus holiday greetings! This week's Monster Kid Radio guest just had one of his movies accepted into next year's Miami International Science Fiction Film Festival, but before that happens, he spends some time with us here on the podcast. Joshua Kennedy is a film student who's been making waves in the retro monster film community, and in this week's episode, he and Derek talk about his background (he was a Rondo Hatton Classic Horror Award nominee - when he was 15! ), his movies, and his favorite Hammer actress. We also play a round of the Classic Five! You'll get all this and a batch of holiday greetings from previous Monster Kid Radio guests. This week's movie was featured on last week's Holiday Gift Guide, and this week, Derek will talk a bit more about 1965's Dark Intruder (dir. Harvey Hart). He doesn't do it alone, though. He's joined by frequent horror convention attendee and horror podcast connoisseur Ken Johnson. After this breezy chat about this Leslie Nielsen(!) horror flick - and a round of the Classic Five - we'll hear from Tony Wendell from The Gigantic Project about the recent MKR episodes covering a couple of kaiju films. 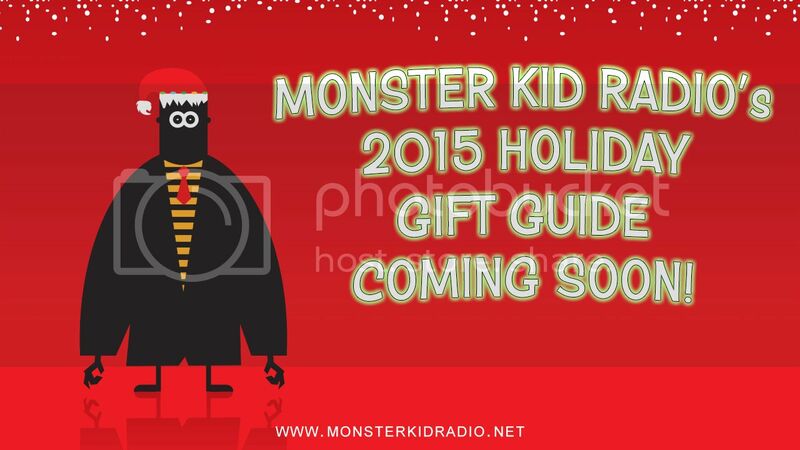 It's time for one of Monster Kid Radio's annual traditions - the Holiday Gift Guide! All year, Derek has been keeping track of various movies, books, etc., that would make an EXCELLENT gift for the holidays for the monster kid in your life! Stephen D. Sullivan is back in the second installment in what turned into a kaiju double feature here on Monster Kid Radio as he and Derek tackle Ghidrah, the Three-Headed Monster (dir. Ishirō Honda). Also, it's the time of the month for the Executive Producer Roll Call! Mothra vs. Godzilla was released as Godzilla vs. The Thing (dir. Ishirō Honda) in the US, and that's the film we're talking about this week on Monster Kid Radio. Author and kaiju fan Stephen D. Sullivan joins the podcast for this king (of the monsters)-sized episode, but before talking about the movie, Steve catches Derek up on the latest on the Sullivan-writing front. We're going to do a little time traveling this week on Monster Kid Radio when Orphaned Entertainment's Christopher Page joins Derek to talk about the 1960 film The Time Machine (dir. George Pal). This conversation (in METROCOLOR!) actually took place a few month's ago, but thanks to the miracle of time travel, you now have this chat in your podcast player. Enjoy your trip, and watch out for the Morlocks! This week on Monster Kid Radio, we meet monster kid Scott Roche, the author of the new horror short story anthology House of Phobos and one of the co-hosts of the Dead Robots' Society. After learning about his background and his recent run of classic-monster-inspired short stories over on his Patreon page, he and Derek tackle the 1959 Vincent Price film The Tingler (dir. William Castle). Also, Derek announces the next Monster Kid Radio Crash (sorry for the short notice! ), and offers a few words about the recent passing of two important people to monster-kid-dom. The company behind the 2015 movie Tales of Dracula has a son of Frankenstein in their corner, and this week on the podcast, that Frankenstein son talks with Monster Kid Radio. Derek was thrilled to speak with Donnie Dunagan and his role as Peter von Frankenstein in Son of Frankenstein (dir. Rowland V. Lee) as well as his potential involvement in Wolfbain Productions' upcoming Tales of Dracula 2! Along the way, you'll learn how YOU can help support this upcoming movie. Also, Derek looks back on the events of last month and Halloween, and goes through the Patreon Executive Producer roll call. For the first time, Derek recorded an episode of Monster Kid Radio with a REAL LIFE PERSON (he's not related to!) at Monster Kind Radio Headquarters when Paul McComas dropped in during his recent trip to the Pacific Northwest. As one of the biggest fans of Lon Chaney, Jr., ANY of us know, Derek knew Paul was the PERFECT guest to discuss the films Calling Dr. Death (dir. Reginald Le Borg), Weird Woman (dir. Reginald Le Borg), Dead Man's Eyes (dir. Reginald Le Borg), The Frozen Ghost (dir. Harold Young), Strange Confession (dir. John Hoffman), and Pillow of Death (dir. Wallace Fox) - the Inner Sanctum Mysteries. Some of these movies are great. Some . . . leave a bit to be desired. Come along for the Chaney ride with Derek and (Birthday Boy) Paul as they pick apart the films, and take some delightful Lon, Jr., sidetracks along the way. Also, Derek announces the next few Monster Kid Radio Crashes happening in the Portland area! Derek attended the Rose City Comic Con earlier this month. Listen to find out what this monster kid found at the convention (appearances by Rebecca Hicks, Kyle Yount, Rachel Cook, Keith Foster, and Tadd Galusha). Also, LISTENER FEEDBACK. Monster Kid Radio #236 - Is Tom Biegler one of the First Men in the Moon? In 1964, Ray Harryhausen helped to bring to life the film First Men in the Moon (dir. Nathan H. Juran). In 2015, Tom Biegler returns to Monster Kid Radio to discuss the film with Derek. After briefly catching up with Tom, the two monster kids dive into the movie, and, warning - SPOILERS AHEAD. There is no such thing as a Harryhausen saturation point. A monster kid goes to a comic con, and listener feedback. Who will survive The War of the Gargantuas (dir. Ishirō Honda)? Derek? This week's guest Tony Wendell? YOU??? Listen to this episode of Monster Kid Radio to find out! SPOILER ALERT - while sidetracking about Ultraman, Godzilla's Revenge, Godzilla vs. Megalon,and a number of other topics, Derek and Tony do a pretty good job of spoiling The War of the Gargantuas. Also, Stephen D. Sullivan leaves more feedback regarding his previous voicemail about Doctor Who, and the next Monster Kid Radio Crash is announced. You can't always be in the Maser canon division. Ron Nelson continues his stay on Monster Kid Radio as he and Derek wrap up their conversation about the film The Return of the Vampire (dir. Lew Landers). Spoiler alert - Ron and Derek love this film! During their discussion, they make if-you-squint-you-might-see-them-too links from this film to The Monster Squad and even kinda-sorta Star Wars. Also, Stephen D. Sullivan calls in to drop some serious Doctor Who knowledge. At the end of this episode, Derek makes a special announcement about the future of Monster Kid Radio. If you have Lugosi, you better shoot the eyes. Derek welcomes Ron Nelson to the podcast to talk about what could easily have been Bela Lugosi's second turn at playing Dracula on the big screen . . . except it really wasn't. (Call off your lawyers, Universal!) It's The Return of the Vampire (dir. Lew Landers). Before diving into this 1943 monster mash-up from Columbia, Derek and Ron talk a bit about their similar history as monster kids growing up in the VHS era. Also, Derek responds to some (green) slimy listener feedback regarding Episodes #229 and #230. Casey Criswell is one of Derek's co-hosts on 1951 Down Place where they talk about Hammer Films once a month. On Episode #232 on Monster Kid Radio, they talk about a different kind of British genre film - Daleks - Invasion Earth: 2150 A. D. (dir. Gordon Flemyng). In the film, Peter Cushing plays Who. Who? Peter Cushing. Peter Cushing plays Who? Exactly. Last summer, something happened that changed Derek's life. He attended his first Monster Bash. The convention was first started in 1997 by Ron Adams, and this week on Monster Kid Radio, Ron joins Derek to talk about the origin of the show, his own background as a monster kid, and what future Monster Bashes hold. Monster Kid Radio #222 - Are you Fit for a Frankenstein? Paul McComas and Greg Starrett are! Paul McComas and Greg Starrett continue their Fit for a Frankenstein visit on Monster Kid Radio, and lets Derek (and the listeners) in on a secret or two when they discuss their future book plans. (And, yes, Derek IS excited if the 2013 Halloween Book Festival award-winning Fit for a Frankenstein is any indication of what's to come!) Along the way, Paul and Greg further discuss their collaboration process, what it meant to them to be monster kids growing up, and more. There's nothing wrong with looking at the world through 15-year-old eyes . . . as long as they're your own. Paul McComas and Greg Starrett are the monster kid tag team behind 2013's award-winning (2013 Halloween Book Festival) Fit for a Frankenstein, and just like with any good monster, you can't keep a good novel ABOUT the monster down! 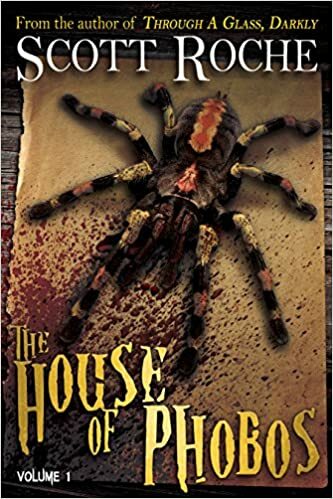 "Monster Bash" magazine recently covered the novel, and Paul and Greg spent some time with Derek to discuss the new life their book is experiencing. Along the way, they talk about their collaboration process, what it was like growing up as monster kids, and their lifelong friendship. Also, we have a voicemail about our recent coverage of Beneath the Planet of the Apes (dir. Ted Post) - SPOILER WARNING. Tracing is not like homicide. Scott Morris enjoys his ape-filled stint here on Monster Kid Radio as he and Derek continue discussing 1970's Beneath the Planet of the Apes (dir. Ted Post). Warning - Derek and Scott continue to drop spoiler BOMBS. Also, we have an email from a fellow monster kid and podcaster. Derek is joined by Scott Morris as they both tumble through a Hasslein Curve and find themselves landing squarely in 1970 (or is it 3955?) to discuss the film Beneath the Planet of the Apes (dir. Ted Post). This was a first time viewing for Derek, and - not to spoil the movie too much - he was, ahem, blown away by what he saw. Before diving into the film itself, Scott and Derek talk about what went on behind the scenes to produce (unearth?) this movie in the first place. Also, Derek has an announcement about one of the upcoming festivals/conventions happening later this year. Actor Wayne W. Johnson continues his stay at Monster Kid Radio and talks further about his involvement in Tales of Dracula (dir. Joe DeMuro) as well as how he found himself playing Walking Bear in Star Trek: New Voyages. Wayne's a busy, busy actor - you'll hear about all his different projects during this interview. Also, Derek starts looking forward to October. It takes a lot of guts (or fangs) to don Count Dracula's cape, and that's just what this week's Monster Kid Radio guest did when he starred in 2015's Tales of Dracula (dir. Joe DeMuro). The very busy actor Wayne W. Johnson took some time to chat with Derek about his experience taking on the role of the master vampire, as well as a bit about his history in front of the camera, his inspirations, and what kinds of movies he used to watch as a kid. Also, Derek returns to talking about Barbara Steele, the last movie he "saw" her in, and her upcoming appearance at this year's Living Dead Horror Convention. Derek welcomes Michael Legge, the creative mind behind numerous movies as well as the horror host show The Dungeon of Dr. Dreck! Michael discusses his background and origins as a monster kid and movie maker, and talks about what went into his Dr. Dreck character and show. Also, Derek is REALLY excited about Barbara Steele appearing at the upcoming Living Dead Horror Convention. The Gigantic Project's Tony Wendel joins Derek to discuss the 1965 film Frankenstein Conquers the World (dir. Ishirô Honda) - SPOILERS AHEAD! While this episode does open in the parking at the Hollywood Theatre (after Derek got out of a screening of Horror of Dracula), it's business as usual here at MKR. After discussing Frankenstein Conquers the World, Derek also talks abut one of the guests he's most looking forward to seeing at the upcoming Living Dead Horror Convention - Barbara Steele. It's about time that we talk about a Nick Adams movie here on Monster Kid Radio, and since we love giant monster movies around here, Frankenstein Conquers the World (dir. Ishirô Honda) is on deck this week! Tony Wendel from The Gigantic Project joins Derek to talk about this 1965 kaiju gem. In this episode, Tony shares how he first discovered giant monster movies before he and Derek talk about the cast and crew of this week's movie. Also, did you hear about one of the guests scheduled to be at the upcoming Living Dead Horror Convention? She's an icon! Monster maker Mitch Gonzalez (Danny Johnson Saves the World, The Giant Spider, etc.) joins Derek to talk about their favorite robots from classic monster and sci-fi movies. Also, don't miss Derek's announcement about the next Monster Kid Radio Crash - Horror of Dracula (dir. Terence Fisher)! Danny Johnson Saves the World (dir. Christopher R. Mihm) was released earlier this month, and it's in this movie you can see the latest monster creation by this week's guest Mitch Gonzalez! Mitch and Derek talk about his work on Danny Johnson..., as well as a few other mostly robotic-topic subjects. Also, Derek announces the next Monster Kid Radio Crash! Larry Underwood (aka Dr. Gangrene) is back on Monster Kid Radio to talk about one of his favorite subjects - Vincent Price. And since this is Cthulhu Cthursday (the Cthird Cthursday of the month), he and Derek are celebrating the Vincent Price film based on H. P. Lovecraft's "The Case of Charles Dexter Ward" - The Haunted Palace (dir. Roger Corman). From a private hospital for the insane near Providence, Rhode Island, there recently disappeared an exceedingly singular person. He bore the name of Charles Dexter Ward . . .
Derek opened up the phone lines, and many of you sent in your thoughts about the passing of the last of the horror greats, Sir Christopher Lee. All music in this episode is provided by Midnight Syndicate (http://www.midnightsyndicate.com/), and appears by permission. Cover art provided by Roger Koch. Call in with your thoughts about Sir Christopher Lee for next week's episode. Derek welcomes author Frank Schildiner back to the show to talk about his upcoming novel The Quest of Frankenstein from Black Coat Press. Frank is a longtime fan of Frankenstein and a fan of pulp, so for him to be able to combine his two passions in his upcoming novel was a treat for him, and MKR is sure it will be a treat for readers when the novel is released this summer. Plus feedback. Sometimes the monsters solve their own problems. Since The Shadow Over Portland's Chris McMillan didn't actually take us along on his recent trip to Florida, he does the next best thing. He talks about his experience looking for some of the filming locations of Zaat (dir. Don Barton) with Derek and Monster Kid Radio. Have you ever tried to direct a walking catfish? Chris McMillan (The Shadow Over Portland) returns to Monster Kid Radio to talk about a movie from 1971. Zaat (dir. Don Barton) is the movie on deck this week, and the reason we're talking about it on Monster Kid Radio? You'll just have to listen to this episode to find out (it may or may not have to do with giant walking catfish). Also, Derek receives an email from a regular contributor to the podcast. It's the Cthird Cthursday of the month here at Monster Kid Radio, so it's time for Cthulhu Cthursday! At CthulhuCon 2015, Derek was the moderator of the panel Lovecraft Gets Hammered where he and his fellow panelists - Kenneth Hite, Adam Scott Glancy, Kevin McTurk, and Robin D. Law - discussed those movies from the Hammer Films catalog that have the Lovecraftian touch. After sharing the recording from the panel, Derek reacts to a listener email and announces what movie he and a returning guest will talk about next week! Before giving filmmaker Christopher R. Mihm a special shout out, Monster Kid Radio releases the ballot for the first annual Monster Rally Retro Awards. Larry Underwood, aka Dr. Gangrene, is the man behind The Fantastic Films of Vincent Price and he recently covered the 1954 Vincent Price film The Mad Magician (dir. John Brahm). After he talked about this movie on his YouTube series, he dropped by Monster Kid Radio to talk about the movie with Derek. In this episode, he and Derek go over the plot of the film. Rondo-award winner Dr. Gangrene returns to Monster Kid Radio this week, and he's bringing Vincent Price with him! According to Derek and Dr. Gangrene, 1953's House of Wax (dir. André De Toth) is one of Vincent Price's best films, and apparently Columbia Pictures thought so, too, when they produced The Mad Magician (dir. John Brahm) in 1954. After catching up with the good doctor, he and Derek discuss the cast, crew, and some of its similarities to House of Wax. Plus, listener feedback! We're celebrating the big 2-0-0 episode by inviting previous guests Tracey Morris, Chris McMillan, and Stephen D. Sullivan to join Derek for a round table discussion about Creature from the Black Lagoon (dir. Jack Arnold). Talk of the upcoming remake, who might be cast as Kay, CGI vs. a traditional suit . . . these topics and more are tackled in this bonus-sized episode of Monster Kid Radio! We're clearing the decks for Episode #200 here at Monster Kid Radio. In this episode, Derek reviews more listener feedback, talks a little bit about a Boris Karloff serial (thanks to Rich Chamberlain, the Monster Movie Kid), reflects further on tana leaves and Imhotep, rambles about monster movie magazines with Nicholas Hatcher, talks briefly about director Michael Reeves with author Jonathan Lampley, gets a suggestion for an awesome 1940s double feature from author Paul McComas, chats some more about Larry Buchanan with Alan Tromp, and wishes for more luchadora films with Keith Rainville (not necessarily in that order). Additionally, an MKR listener sent in a breakdown of Creature from the Black Lagoon (dir. Jack Arnold), detailing just how long the Gillman is on screen in that film, as well as who played him, etc. Kharis has his mummy's hand firmly wrapped around the throat of Derek and guest Nicholas Hatcher this week on Monster Kid Radio. In this episode, they break down the plot of The Mummy's Hand (dir. Christy Cabanne). SPOILERS! Also, there's Listener Feedback, and Derek makes a special announcement. Be sure to visit our complete website at http://www.monsterkidradio.net, and don't forget our Wiki Campaign! Vampire Over Hollywood's Nicholas Hatcher joins Derek for a week of discussion about the 1940 Universal film The Mummy's Hand (dir. Christy Cabanne). This film kicked off the Kharis cycle of mummy movies, and Nicholas and Derek couldn't be more happy about it! Also, Derek received more Feedback about last week's Planet of the Apes (dir. Franklin J. Schaffner) episodes. Be sure to visit our complete website at http://www.monsterkidradio.net, and don't forget our Wiki Campaign! Bringing their A game to a B movie . . .
Monster Kid Radio #196 - It's not a madhouse when we talk about Planet of the Apes! Derek loved Planet of the Apes (dir. Franklin J. Schaffner), and in this episode of Monster Kid Radio, he and Scott Morris talk further about why this movie now means so much to the both of them. A listener also calls in to further encourage the host on his journey through all things PotA. Remember CthulhuCon is happening this weekend (April 25-26) where Derek will be moderating the panel "Lovecraft Gets Hammered." Be sure to visit our complete website at http://www.monsterkidradio.net, and don't forget our Wiki Campaign! Scott Morris joins Derek this week on Monster Kid Radio this week to discuss the 1968 gem Planet of the Apes (dir. Franklin J. Schaffner). One of them has never seen it before last weekend. Listen to find out who recently had the monkey-sized hole in their heart filled by this masterwork. And remember CthulhuCon is happening this weekend (April 25-26) where Derek will be moderating the panel "Lovecraft Gets Hammered." Be sure to visit our complete website at http://www.monsterkidradio.net, and don't forget our Wiki Campaign! 1966's Zontar, the Thing From Venus (dir. Larry Buchanan) is the movie of the week here on Monster Kid Radio, and Alan Tromp joins Derek to talk about this John Agar opus. Additionally, they continue their conversation about all things Buchanan, lament certain movies not being released on DVD, and whether or not all movies NEED to be on blu-ray. Also, Derek discusses the upcoming Planet of the Apes Monster Kid Radio Crash and the CthulhuCon! Be sure to visit our complete website at http://www.monsterkidradio.net, and don't forget our Wiki Campaign! Maybe we could use a little bit of Zontar. Just a little . . . to get stuff done. Before diving into his 1966 TV movie Zontar, the Thing From Venus, Derek and this week's guest Alan Tromp discuss filmmaker Larry Buchanan. It's been nearly a year since Alan's been on the show, so after a bit of catch up, MKR takes a broad look at the man who put John Agar on TV for monster kids on TV in the late 60s. Also, the next Monster Kid Radio Crash is announced! Be sure to visit our complete website at http://www.monsterkidradio.net, and don't forget our Wiki Campaign! Dwight Kemper not only appears in the upcoming movie Tales of Dracula (dir. Joe DeMuro), but he also contributed to the script. He'll talk with Derek about his involvement in this episode of Monster Kid Radio, and since Derek is such a fan of Dwight's novels, he can't help but ask him about them a bit more. Be sure to visit our complete website at http://www.monsterkidradio.net, and don't forget our Wiki Campaign! Frequent MKR guest and podcaster himself (he's a legend!) Scott Morris attended last October's Monster Bash, and while there, attended the Caroline Munro Q & A session. For this episode. Scott shared a recording of that session (and I can't help imagine he was grinning from the start because he's a James Bond fan and the first few questions were actually about Munro and her time as a Bond girl). Be sure to visit our complete website at http://www.monsterkidradio.net, and don't forget our Wiki Campaign! When Monster Kid Radio crashes a film screening, Derek brings his recorder, and Creature from the Black Lagoon (dir. Jack Arnold) has been shown twice since just before the launch of the MKR podcast. The best thing about these Monster Kid Radio Crashes is catching up with people who hadn't seen the movie before, like Ray Jelinek when the movie played the 99w Drive-In, or Tom and Kiri Daufel when it was shown at the Joy Cinema. Devon Devereaux makes a quick appearance at the drive-in showing while filmmaker/author/master storyteller Edward Martin III showed up at the Joy. Earlier this month, filmmakers Joe DeMuro, Tom Rice, and Mike Rudolph spoke with Monster Kid Radio about their upcoming movie Tales of Dracula. In this episode, Derek continues his interview with the Tales of Dracula gang, further making him want to really, REALLY see this movie! Plus, listener emails! Be sure to visit our complete website at http://www.monsterkidradio.net, and don't forget our Wiki Campaign! Monster Kid Radio - 1/22/15 - Have you heard about the time Roger Koch met Vincent Price? Rondo Award-winning artist Roger Koch is one of us. He loves the classic monster movies. He likes to talk about the movies he loves with other like-minded folks (like the listeners of Monster Kid Radio). And when he has an experience that not all monster kids get to have, he makes it a point to share these stories with others . . . like the time he met Vincent Price on the set of Madhouse (dir. Jim Clark). The cover art for this episode of Monster Kid Radio was kindly provided by Roger Koch as well. Be sure to visit our complete website at http://www.monsterkidradio.net, and don't forget our Wiki Campaign! Derek invites Rondo Award-winning artist Roger Koch to Monster Kid Radio to talk about his background, his influences, and the movies that made him the monster kid he is today. Roger has an incredible story to tell, but before we get to that, let's get to know Roger! The cover art for this episode of Monster Kid Radio was kindly provided by Roger Koch as well. Be sure to visit our complete website at http://www.monsterkidradio.net, and don't forget our Wiki Campaign! Filmmakers Joe DeMuro, Tom Rice, and Mike Rudolph join Derek for this week's episode of Monster Kid Radio to talk about their upcoming movie Tales of Dracula. This new feature film is scheduled to debut later this year, but before you see it, you can hear all about it right here! Plus, listener emails! Be sure to visit our complete website at http://www.monsterkidradio.net, and don't forget our Wiki Campaign! Monster Kid Radio - 1/8/15 - Can Joe Stuber Hold That Ghost? Previously, Joe Stuber joined Derek to talk about what went into the making of the 1941 Abbott and Costello film Hold That Ghost (dir. Arthur Lubin). This time around, Joe and Derek go through the plot of the film, highlighting why a movie like this is right at home on Monster Kid Radio. Plus, listener emails! Be sure to visit our complete website at http://www.monsterkidradio.net, and don't forget our Wiki Campaign! No screaming peacocks this time, only guest Stephen D. Sullivan continuing his screaming stint on Monster Kid Radio this week. He and Derek continue to talk about the classic film The Screaming Skull (dir. Alex Nicol). Also, we have an email from a listener in a faraway land! Be sure to visit our complete website at http://www.monsterkidradio.net, and don't forget our Wiki Campaign!